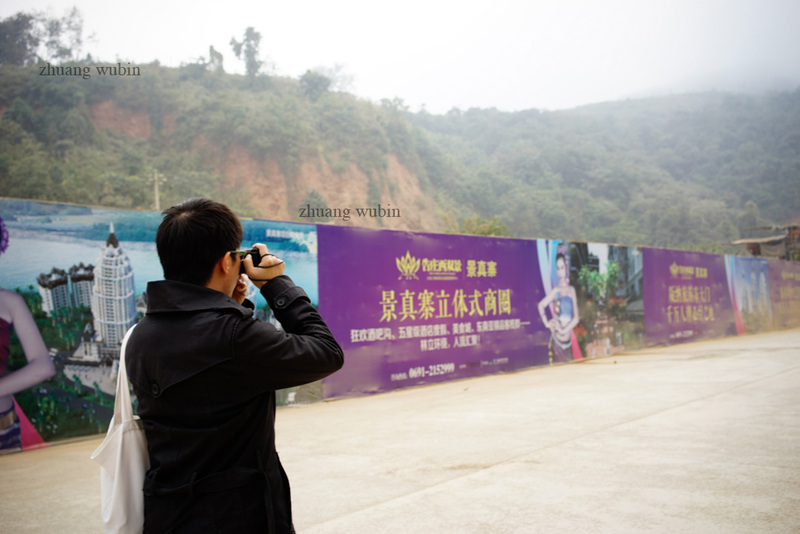 From 7 to 12 Jan 2014, I visited the Xishuangbanna Foto Festival at Yunnan, China. I have been asked to curate a show on Cambodian photography and to give a presentation on its development in the last 20 years. 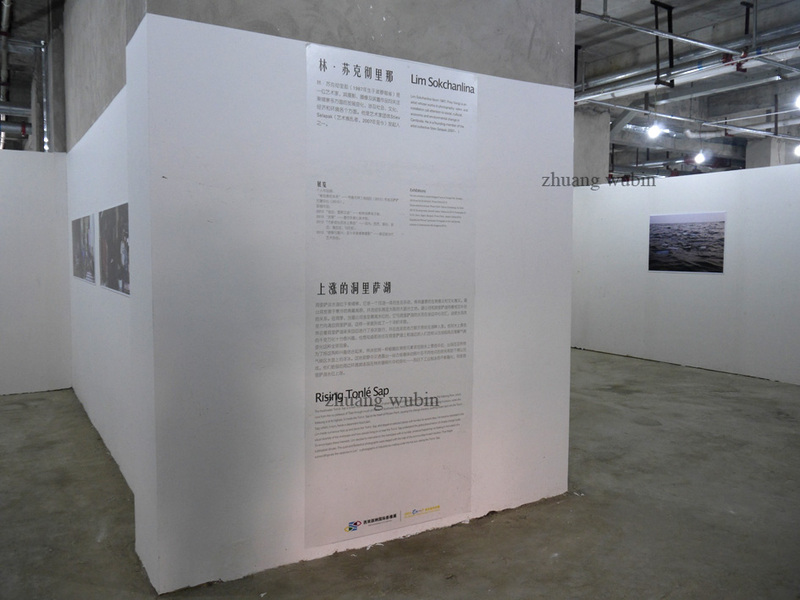 Below is the curatorial intro of the show. In a recent interview, Cambodian photographer Vandy Rattana explains that his artistic practice is a search for “medicine to heal” himself from the trauma of the country’s history. In this way, he frames our understanding of his work along the lines of the cathartic, underpinned by an urgency to make sense of the politics and histories of Cambodia. 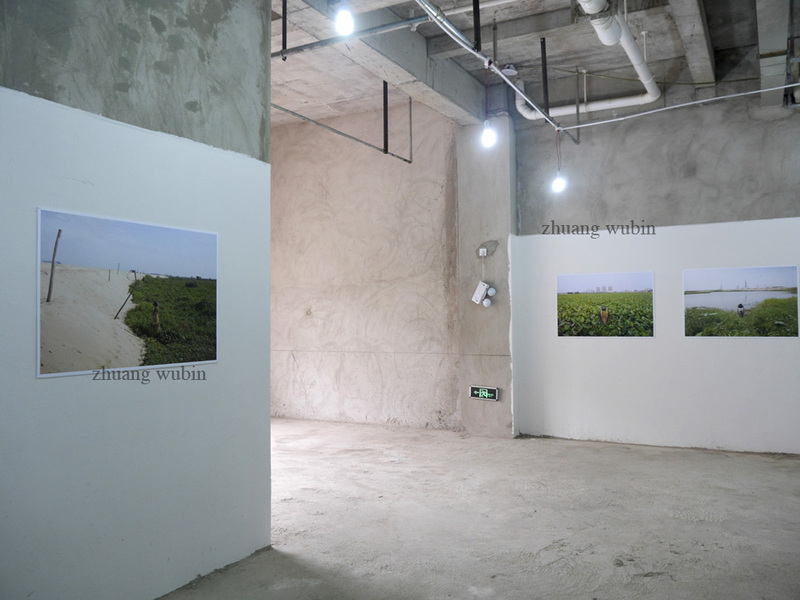 These two quotes by Vandy offer a remarkably encompassing way to approach this modest exhibition of Cambodian photography in Yunnan, a region that shares close ties with the rest of Southeast Asia. Vandy’s place in Cambodian photography is significant because his emergence in 2005 marks a crucial shift in its development. 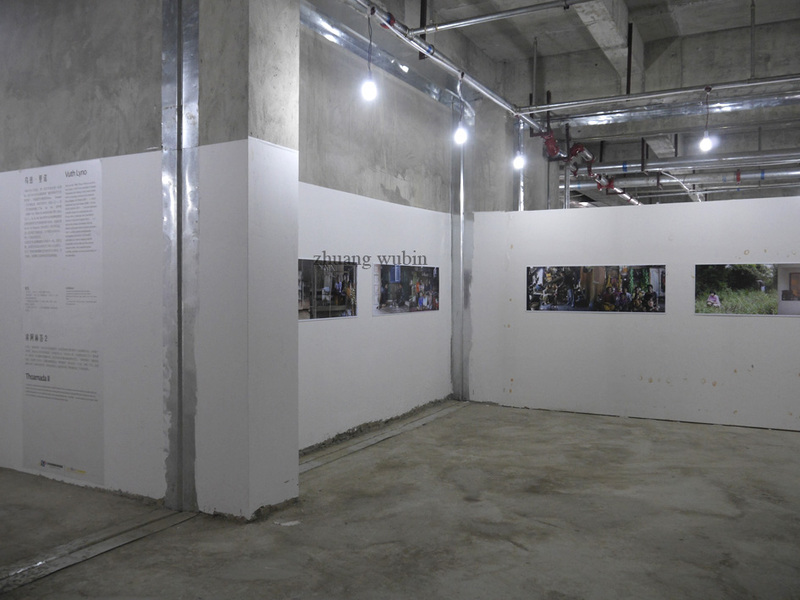 With his first body of work Looking In (2005–06), Vandy establishes his inclination towards documentation, locating his approach beyond press photography, which seems fixated with the mere imageries of Cambodia’s temples and poverty. 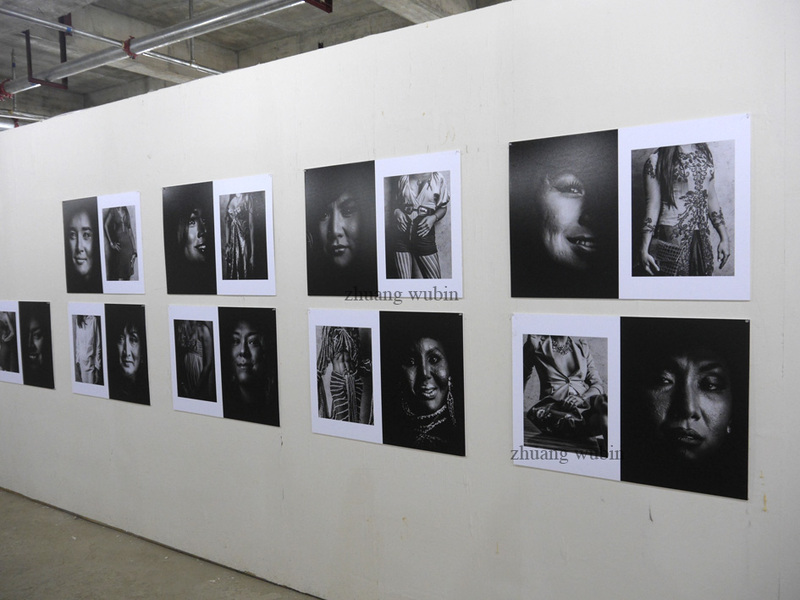 Erin Gleeson, a specialist of Cambodian art, is partially responsible for contextualising Vandy’s work as contemporary art. The Cambodian photographers who started working in the 90s, the first generation to do so after the military withdrawal of the Vietnamese in 1989, have not been so fortunate. 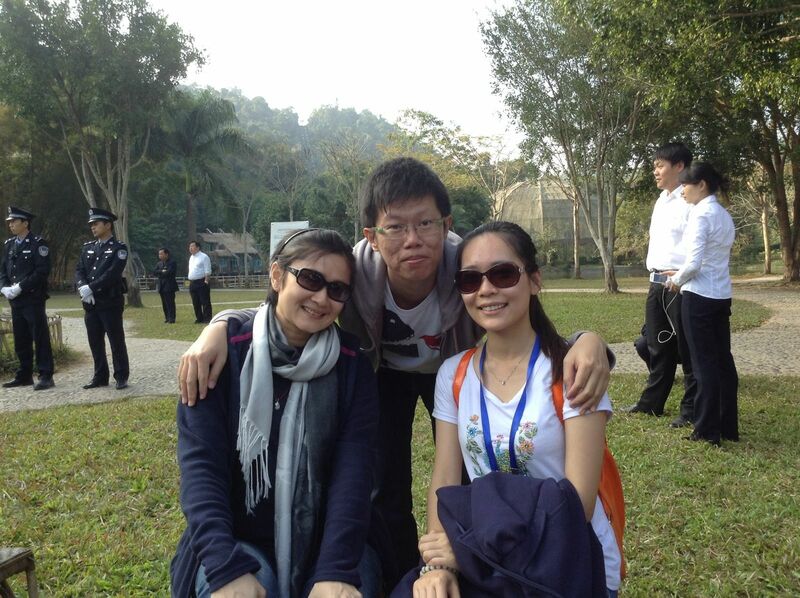 The likes of Heng Sinith and Mak Remissa (b. 1970; Phnom Penh) stumbled into press photography as a means of bringing food onto the table. 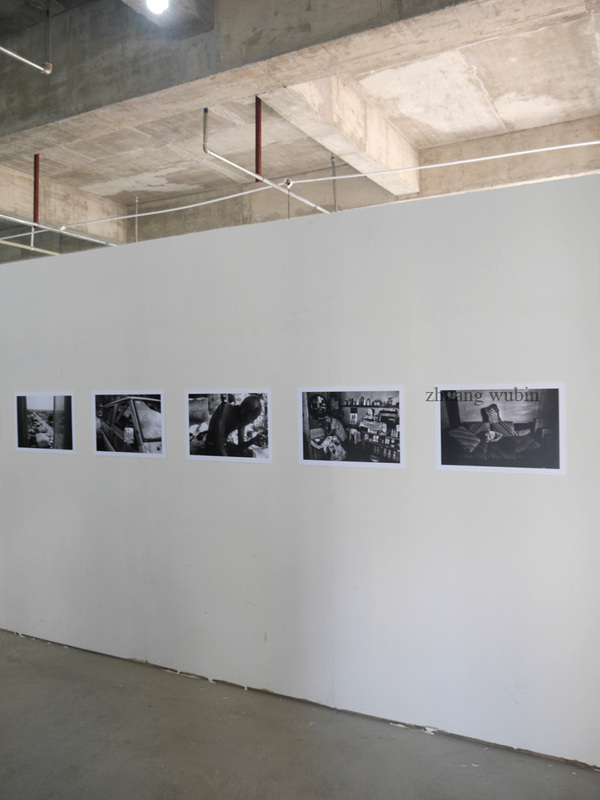 For the last two decades, they have served the demand of Western media outlets that wanted local—hence, cheaper—photographers to cover the recovery of Cambodia after the wars and dislocation of the 1970s and the 1980s. However, it is not true to say that they have no interest in art making or in the deployment of photography to add to our understanding of Cambodian history. Today, we tend to think of the Khmer Rouge (KR) as a brutal polity that brought about untold pain to the Cambodians from 1975 to 1979. 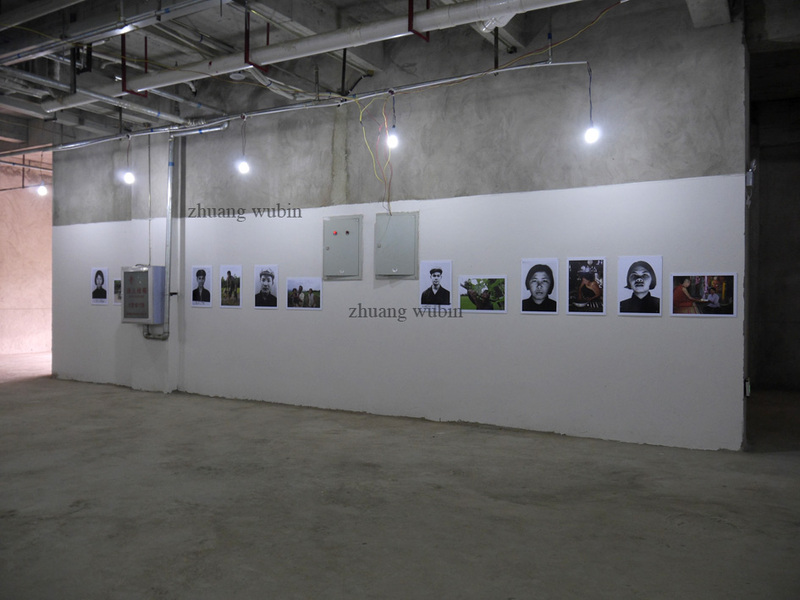 In The Victims of History: Voices of the Khmer Rouge Victims and Perpetrators (2002), featured in this exhibition, KR survivor Heng Sinith urges us to reconsider its junior and mid-level comrades, not only as perpetrators of violence, but also as victims of the regime’s top leadership. 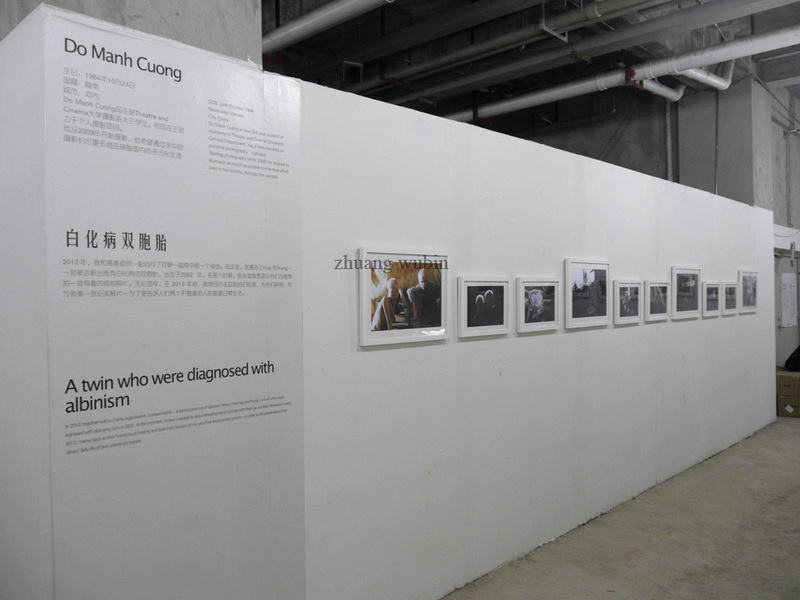 His work is not an attempt to normalise the cruelty of the KR. Instead, it warns us against the tendency to oversimplify KR history. This is a crucial step in national catharsis. 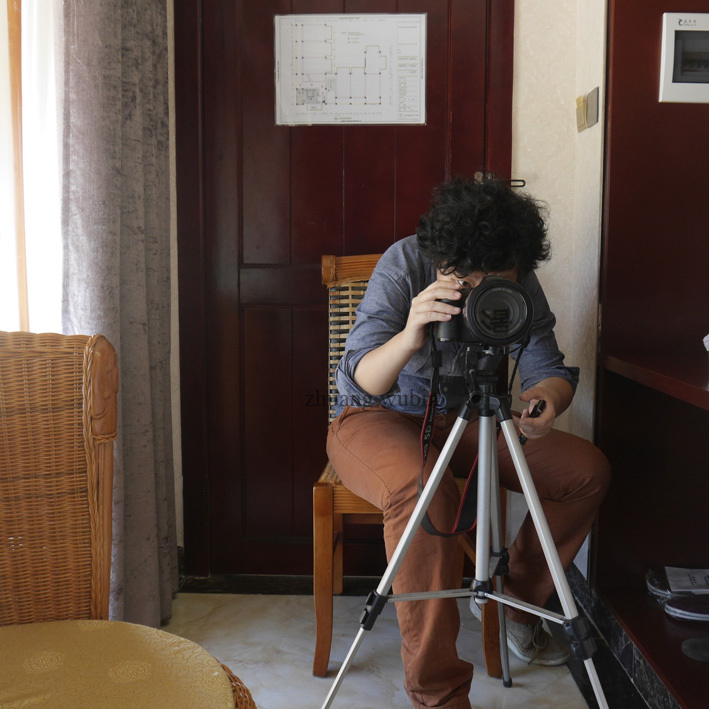 The main difference between his generation of photographers and Vandy is that the latter has been able to sustain his documentary practice as a contemporary artist while Heng and Mak continue to work as photojournalists for international wire agencies. The next generation of photographers after Vandy started emerging in 2008. 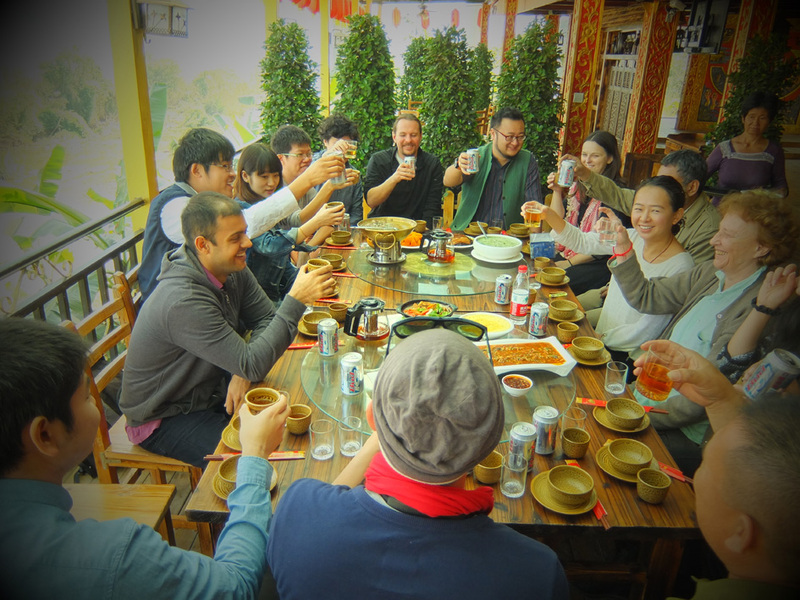 There are various reasons that account for the emergence of this heterogeneous group of practitioners. 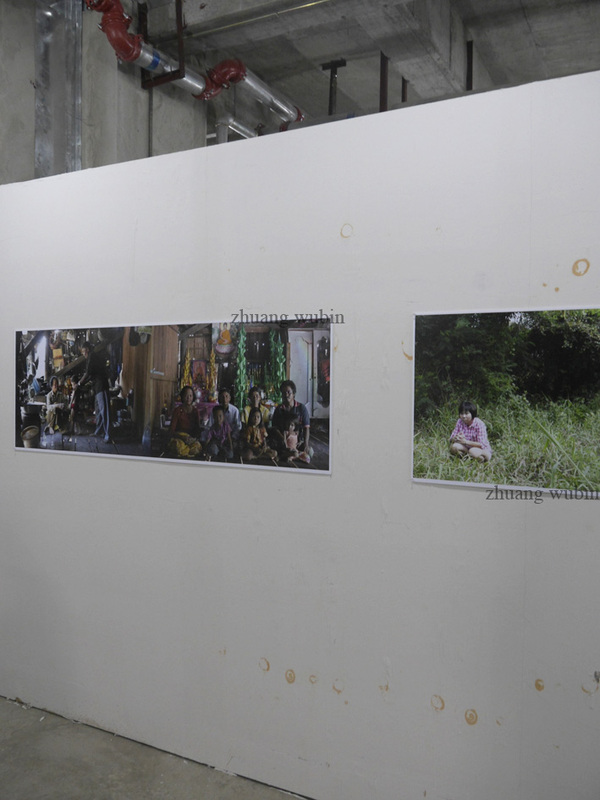 The artists featured here—Vuth Lyno, Khvay Samnang and Lim Sokchanlina—attended the photography workshop led by Stéphane Janin from September 2006 to June 2007 in Phnom Penh. 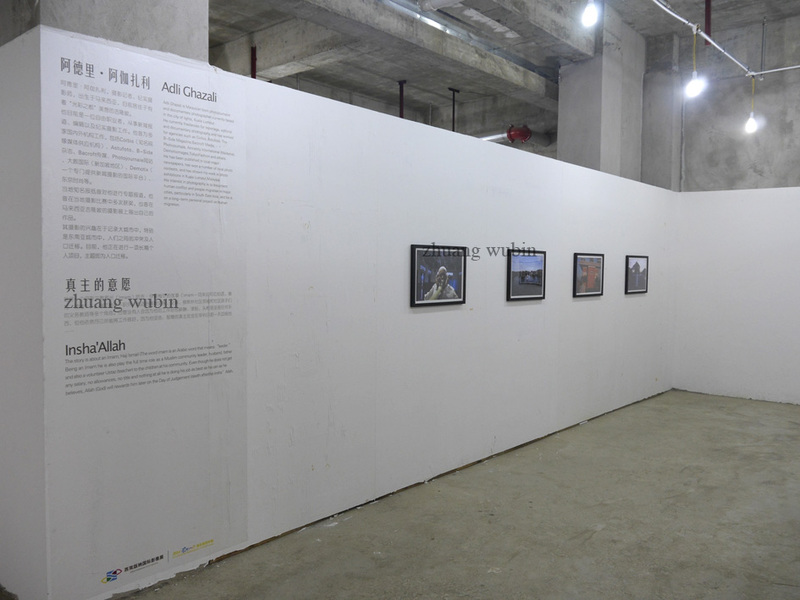 Together with Vandy, they would go on to establish the country’s first artist collective Stiev Selepak (Art Rebels) in 2007. 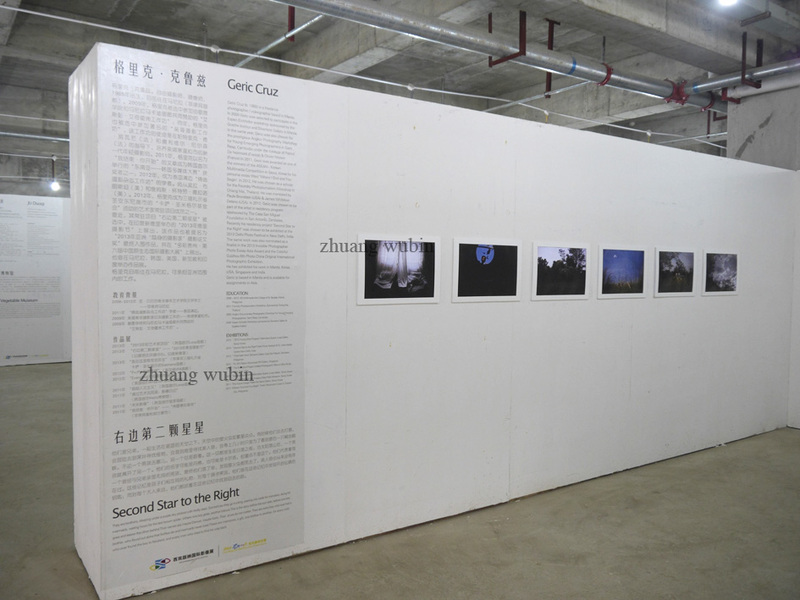 At the same time, there has also been an increase in opportunities for Cambodians to participate in overseas residency programmes or to learn from visiting photographers in workshops facilitated by Angkor Photo Festival (first edition in 2005) and PhotoPhnomPenh (first edition in 2008), amongst others. 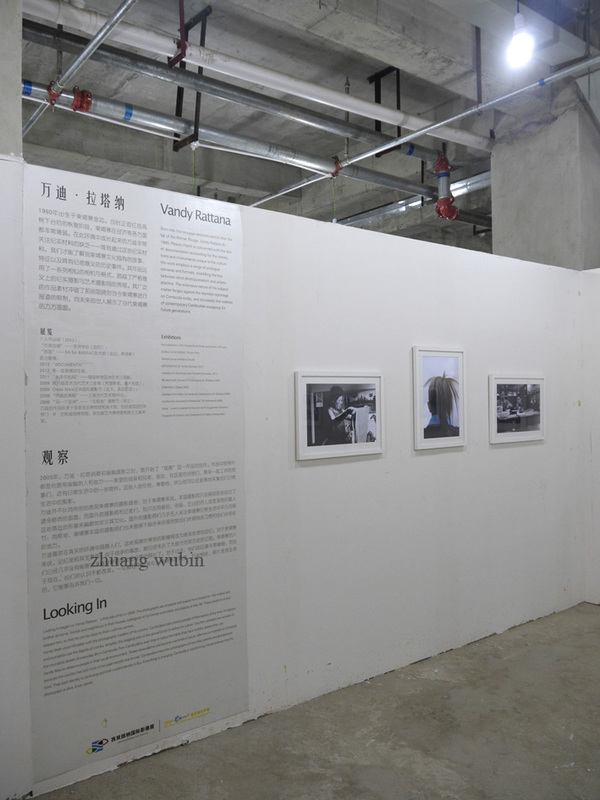 If we plot the trajectories of the photographic practices of the younger artists featured here, it is clear that their beginnings are rooted in the documentation impulse of Vandy Rattana. More recently, and with greater exposure, their photographic practices have become crossed with performance and community engagement. 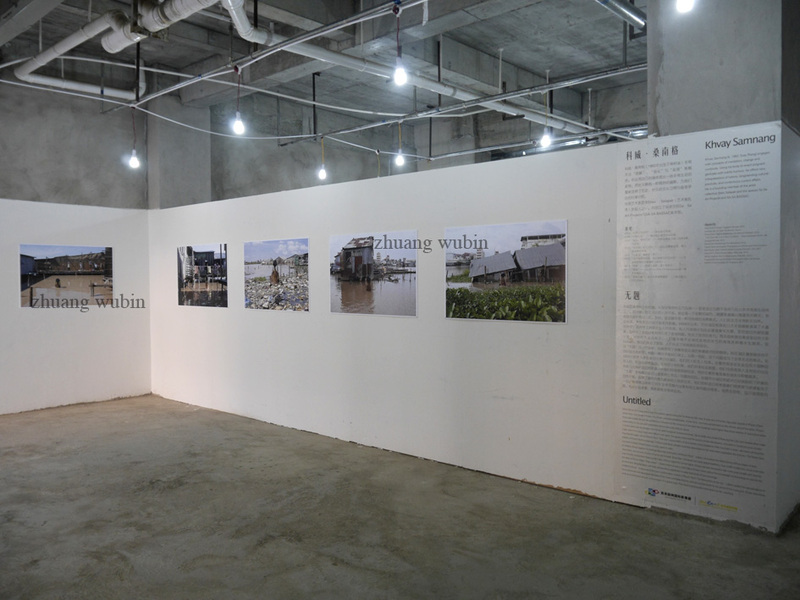 In Khvay Samnang’s Untitled (2011) and Lim Sokchanlina’s Rising Tonlé Sap (2012), both artists respond to the issues of land privatisation and climate change respectively. 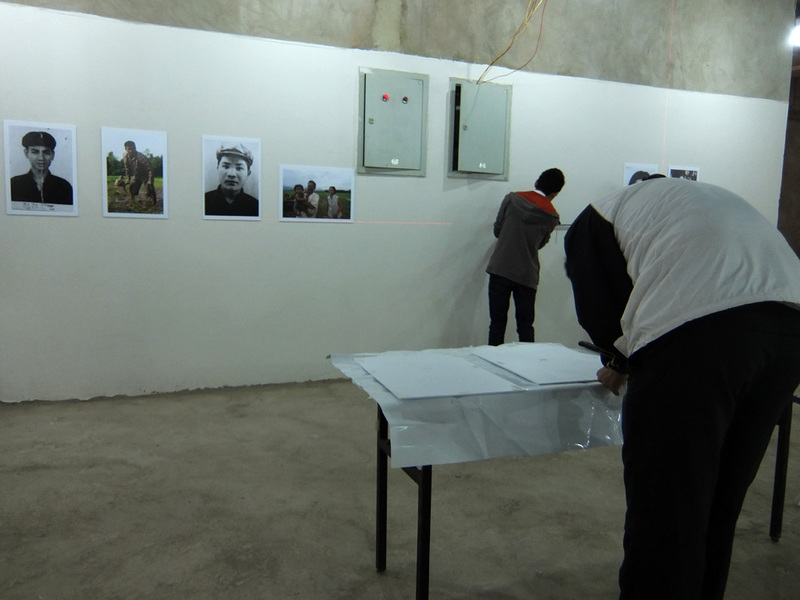 Clearly aware that other communities around the world also encounter similar problems, Khvay and Lim register their concerns through their performances/interventions, the traces of which can be seen in their photographs. 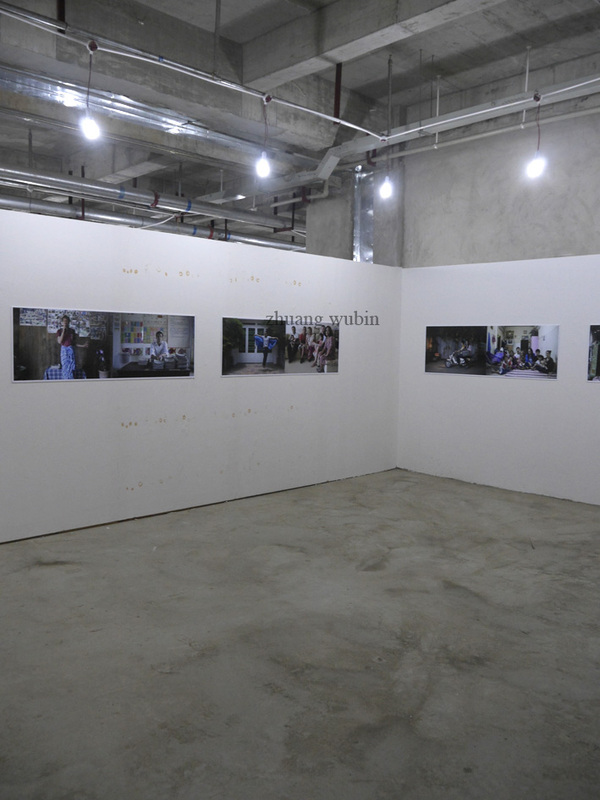 In Thoamada II (2013), Vuth Lyno continues his engagements with the Khmer LGBT (lesbian, gay, bisexual and transgender) communities by staging a series of family portraits, urging us to reconsider the boundaries and limits of family structure in Cambodia and beyond. In a way, these three bodies of work still share the archiving tendency found in Vandy’s practice, especially in the landscapes and people who are recorded in their photographs. 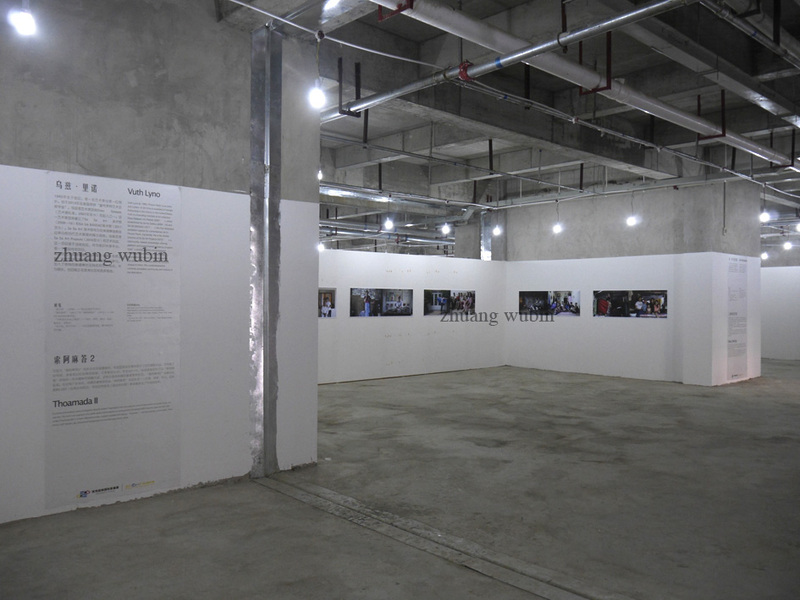 The projects are also cathartic in that they represent individual attempts to make sense of “the here and the now”—and its ensuing sense of confusion—amidst a rapidly transforming Cambodia. Gridthiya Gaweewong, “Interview: Gridthiya Gaweewong & Vandy Rattana,” in Phnom Penh: Rescue Archaeology, ed. 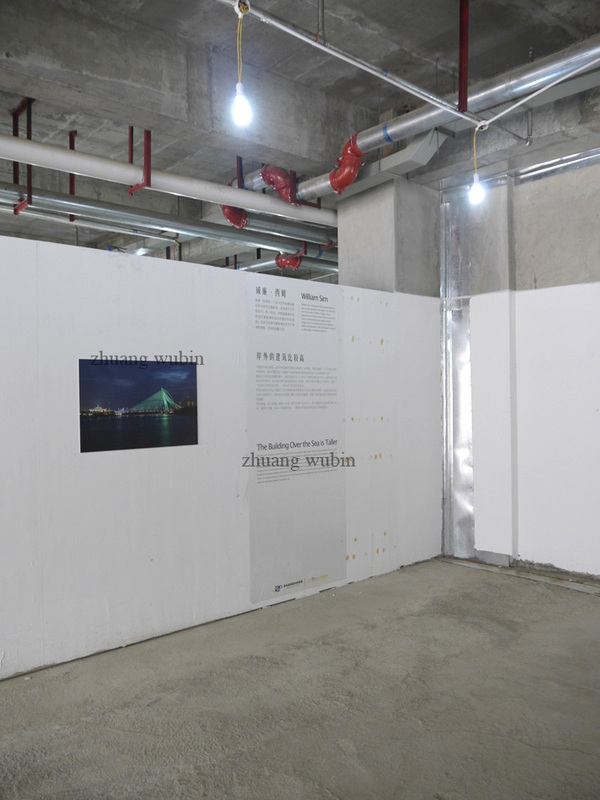 Erin Gleeson, Barbara Barsch and Ev Fischer (Berlin and Stuttgart: Institute for Foreign Cultural Relations, 2013), 110. Vandy Rattana, interview by author, Phnom Penh, Cambodia, December 2006. 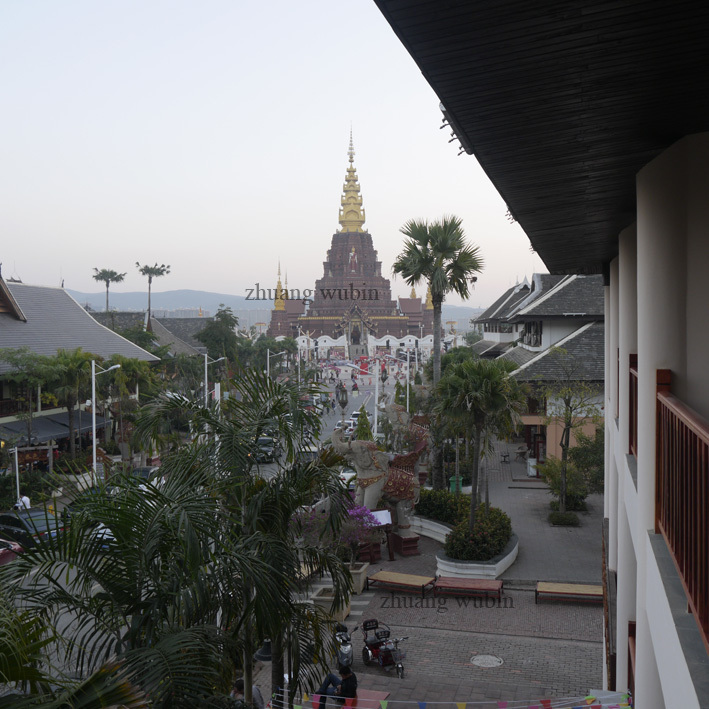 Vandy Rattana is preceded slightly by Kosal Pisey (b. 1982; Kandal), who tried to articulate and sustain a documentary practice that was distinct from press photography in Cambodia. 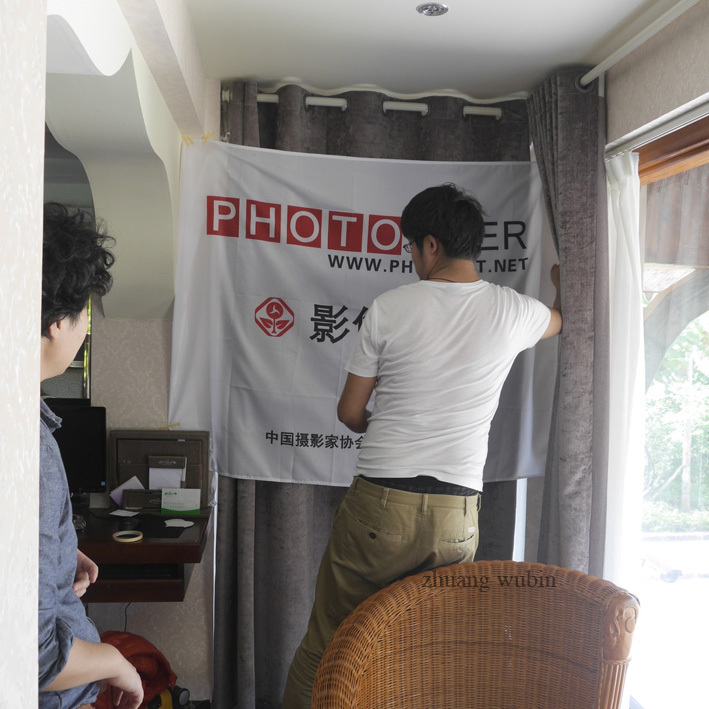 Kosal’s name has become somewhat obscured today after he has given up photography as an artistic practice. Francesca Sonara, “After the Headlines Fade” (master’s thesis, Bard College, 2010), 26. 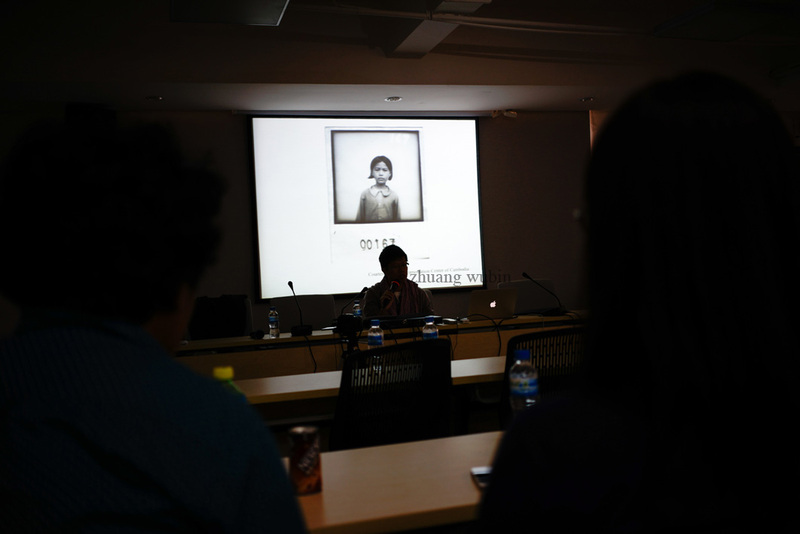 Zhuang Wubin, “A Matter of Context: Writing about Cambodian Photography Today,” (paper presented at the Contemporary Art in Cambodia: A Historical Inquiry symposium, Museum of Modern Art, New York, April 21, 2013). 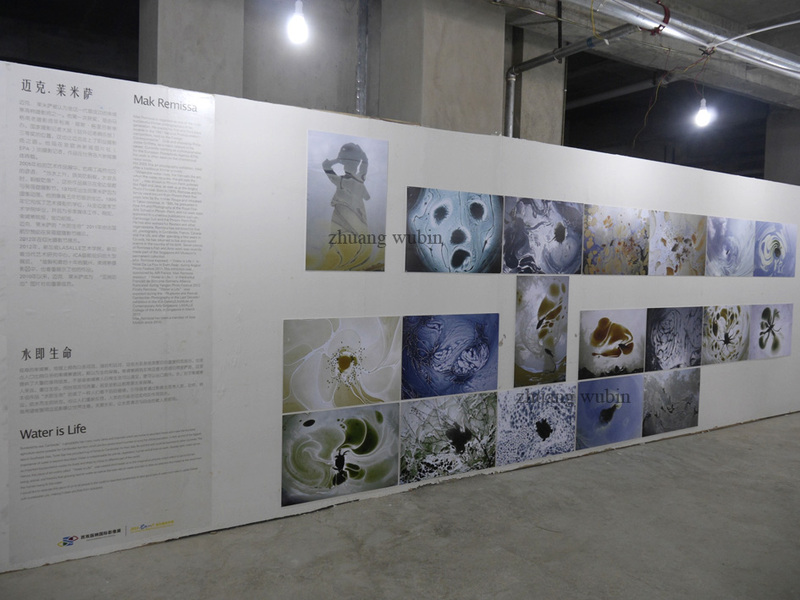 Consider, for instance, Mak Remissa’s When the Water Rises, the Fish Eats the Ant; When the Water Recedes, the Ant Eats the Fish (2005) and Water is Life (2009-10), in which he explores the formalistic potential of photography while making comments about the current impasse of Cambodian politics and the importance of water respectively. 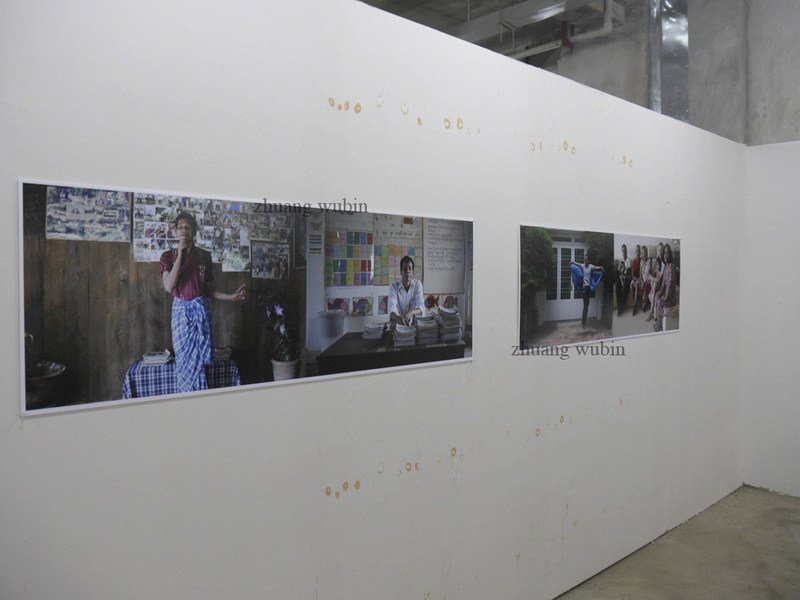 Younger Cambodian photographers like Kim Hak (b. 1981; Battambang) and Sovan Philong (b. 1985; Phnom Penh) have directly benefited from these workshops. 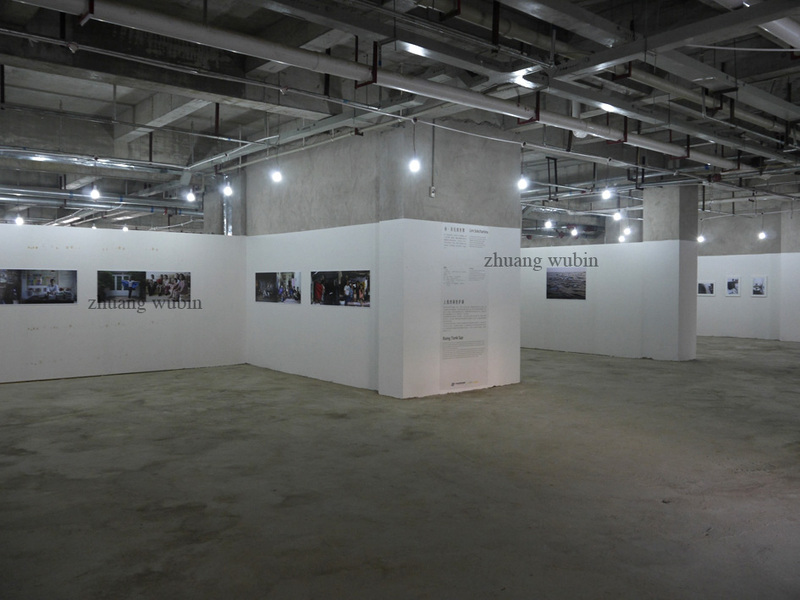 Pamela N. Corey, “Urban Imaginaries in Cambodian Contemporary Art,” in Phnom Penh: Rescue Archaeology, ed. 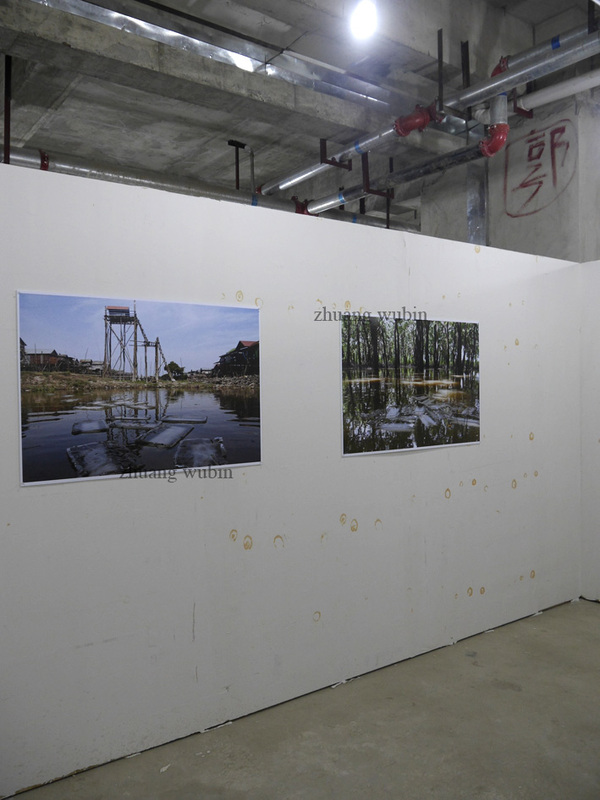 Erin Gleeson, Barbara Barsch and Ev Fischer (Berlin and Stuttgart: Institute for Foreign Cultural Relations, 2013), 115. 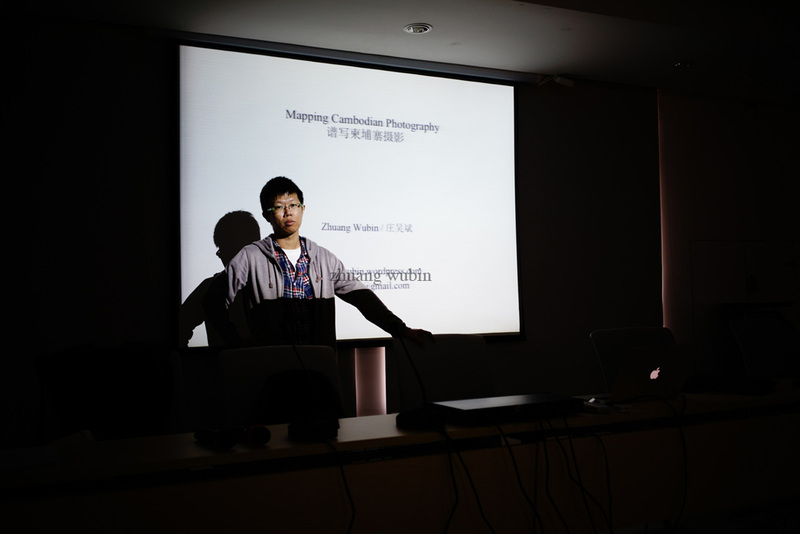 On 11 Jan 2014, I delivered a presentation titled “Mapping Cambodian Photography” at the photofestival in Mandarin and in English. 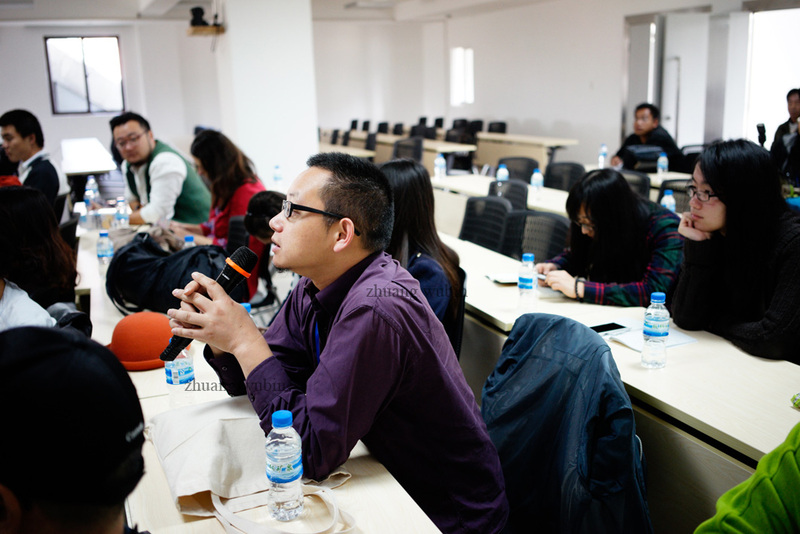 At the end of the presentation, Shu Yang from the Xi’an Art Museum raises a question. 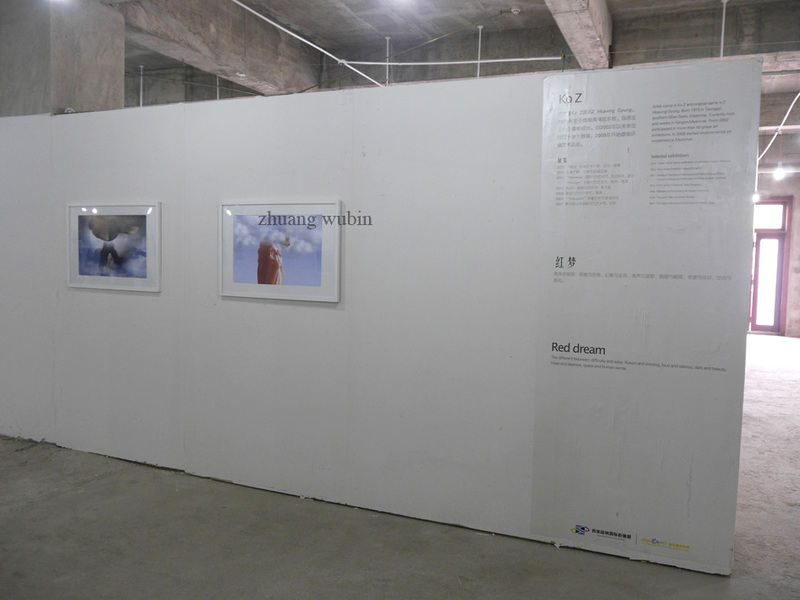 This group exhibition nearly did not materialise. 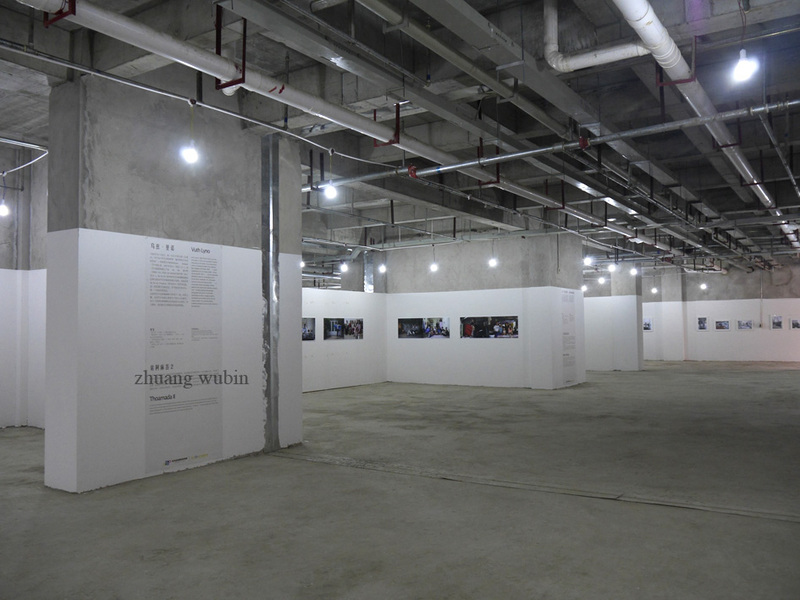 On 4 Jan 2014, days before the festival opened on 8 Jan, the organisers informed me that they would have to remove Heng Sinith’s The Victims of History: Voices of the Khmer Rouge Victims and Perpetrators (2002) because it was deemed too “strong”. 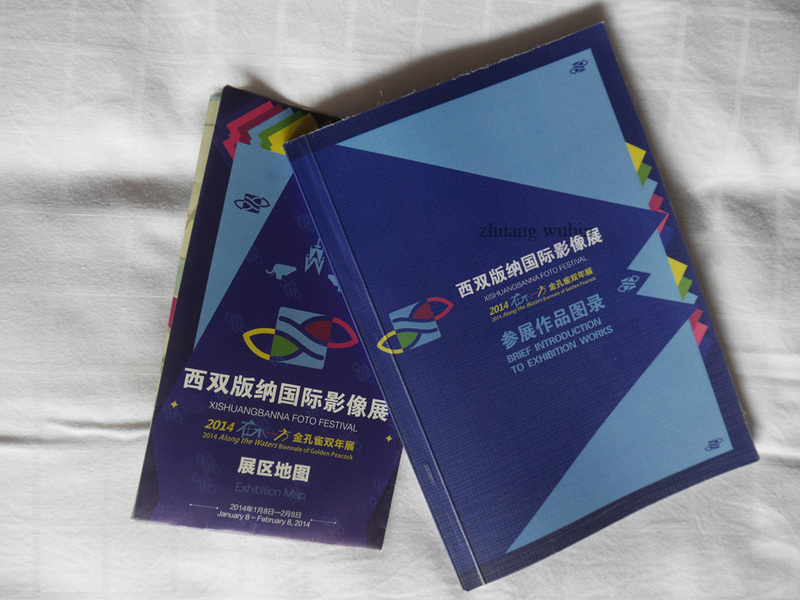 This is actually not the decision of the organisers, who have already printed Heng’s work in the festival guide. 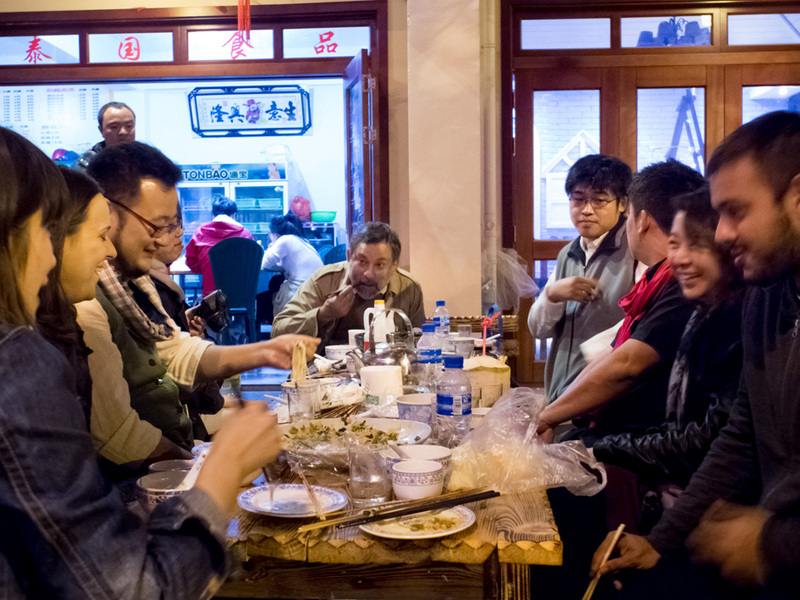 The head of the publicity department of CPC (Communist Party of China) Xishuangbanna, the patron of the festival, felt that Heng’s work would give a wrong impression of communism and hence, forced its removal. 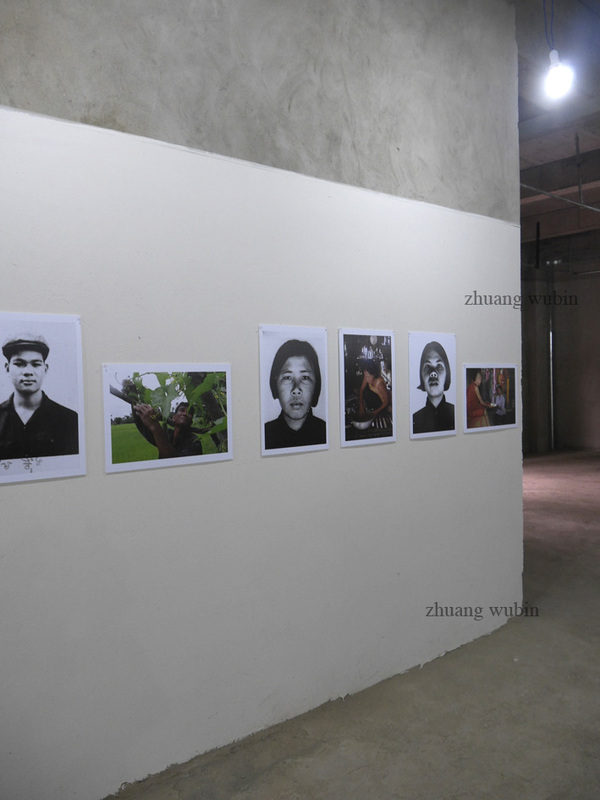 Granted that the CPC had supported the Khmer Rouge (KR) for years, Heng’s work is not about the CPC. The connection is not even mentioned in the curatorial text of the exhibition and the introduction to his work. 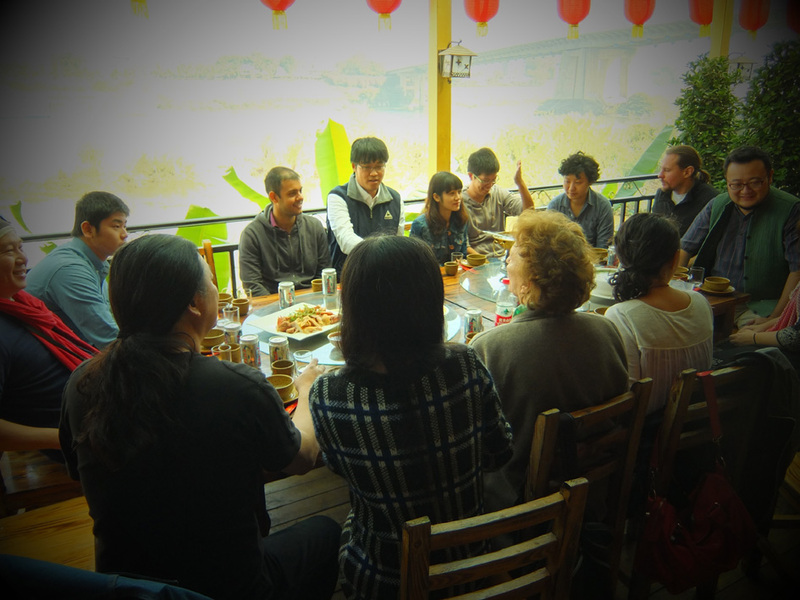 Neither is the discussion of the KR a taboo subject in China today. There are now several entries of the KR found on Baidu, China’s version of Wikipedia. In other words, this is a case of over-reaction and self-censorship, exercised by the head of the publicity department. 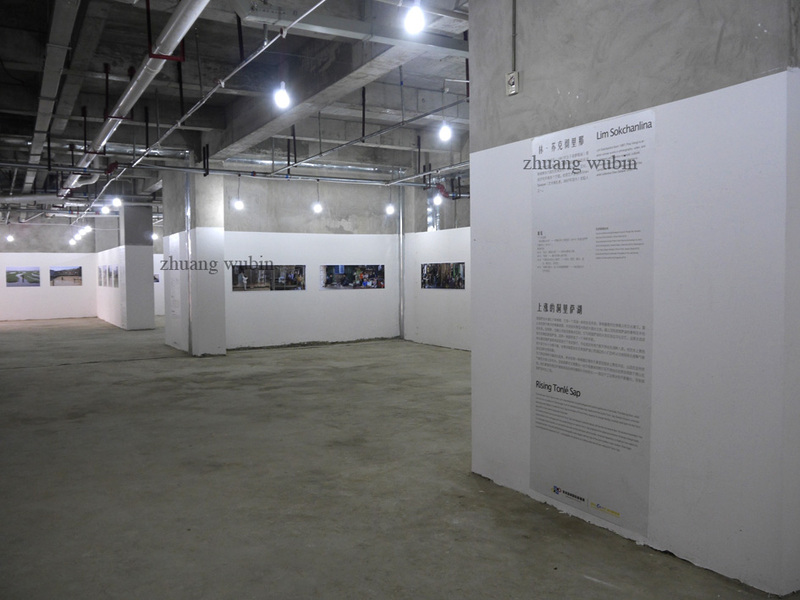 My initial reply to the festival was to take down the entire exhibition, if they would not show Heng’s work. I would also stay home and skip the trip. 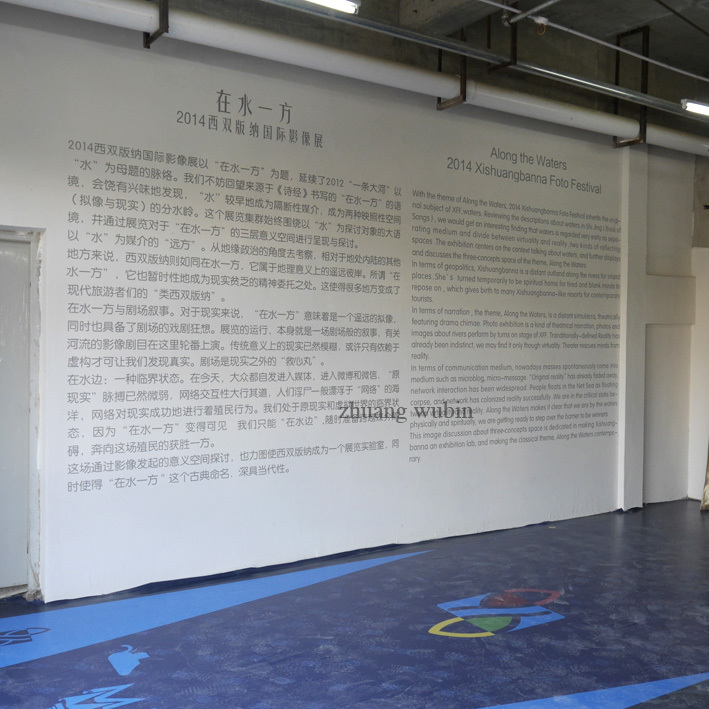 As a compromise, the festival promised to mount Heng’s work on the day after the opening. 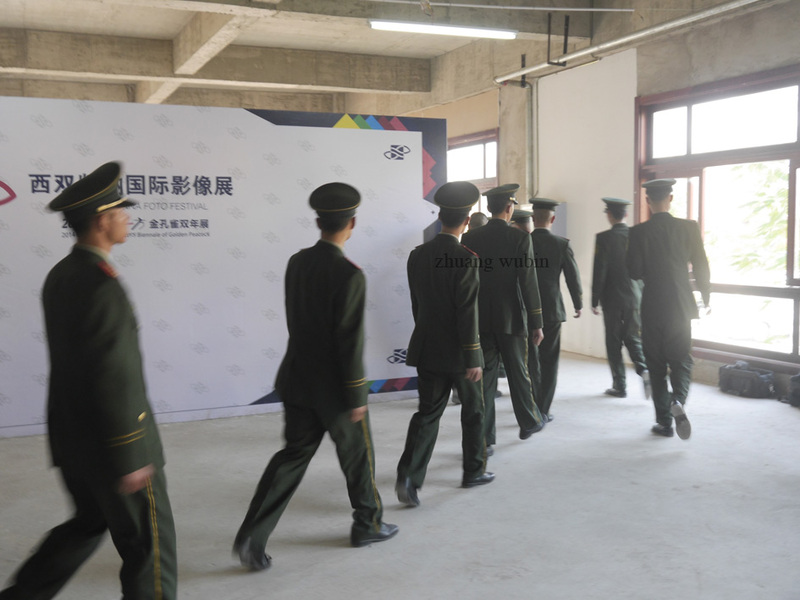 Understandably, the head of the publicity department was the guest-of-honour during the opening and the organisers could not refute his orders. I am apologetic over this cat-and-mouse interlude behind my participation in this event. 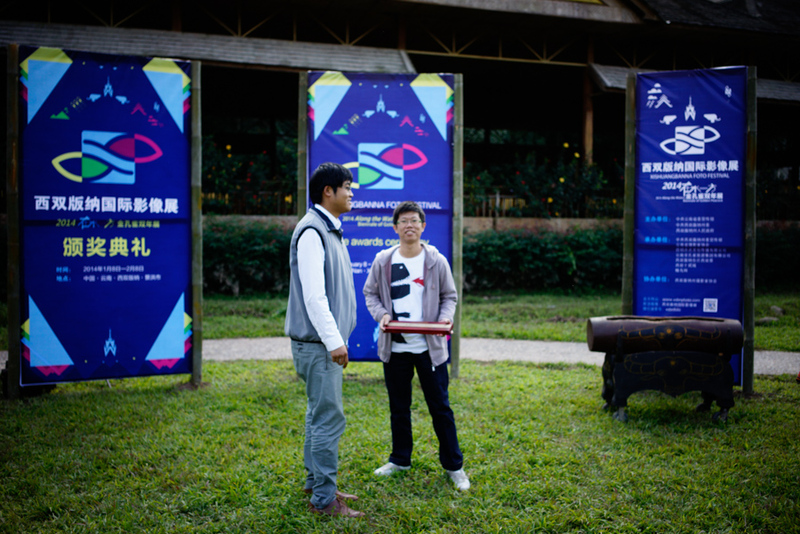 Meeting curator Yumi Goto again, on the opening of Xishuangbanna Foto Festival 2014. 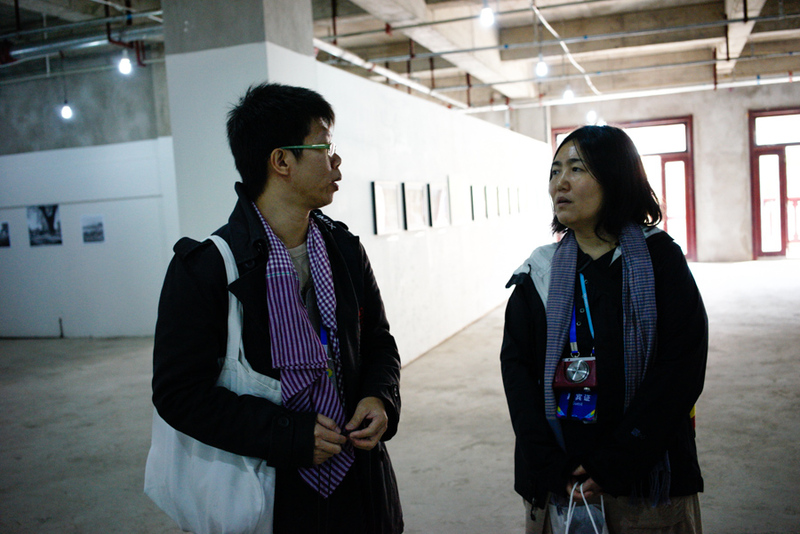 The last time I met her was in 2010 at Changsha, during another photofestival (International Orange Photo Festival) that both of us were involved. 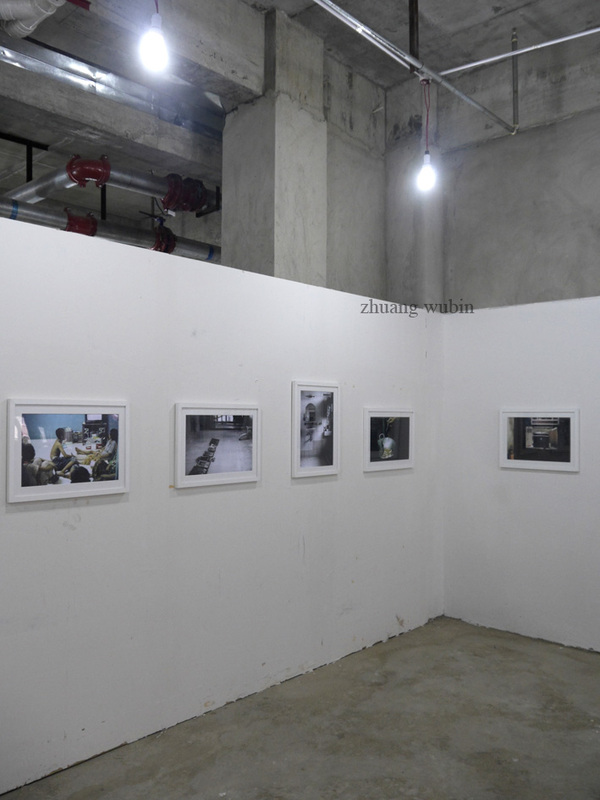 Apparently, Zi Bo’s work has been exhibited by 2902 Gallery in Singapore. 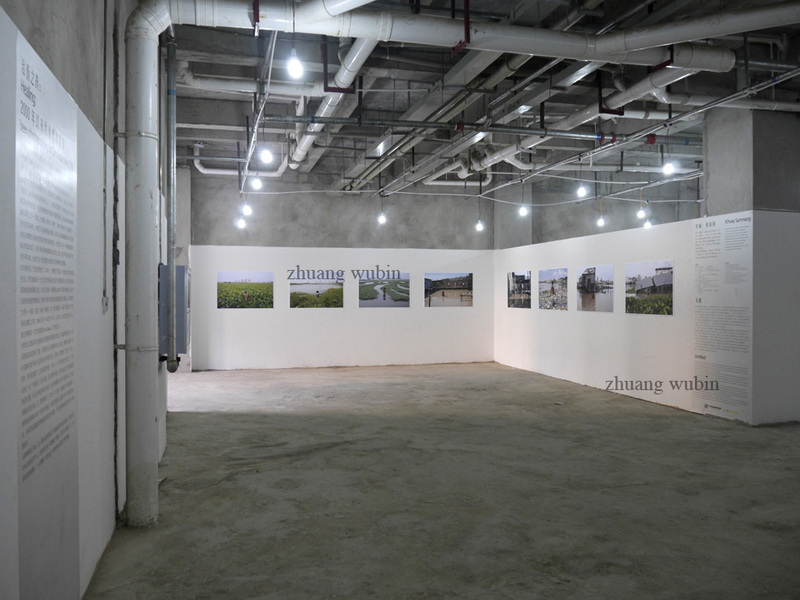 He complained to us that the gallery owner was unresponsive to his emails, which he felt was slightly disrespectful, so much so that he had to send an email virtually once every one or two days to find out more about the exhibition. 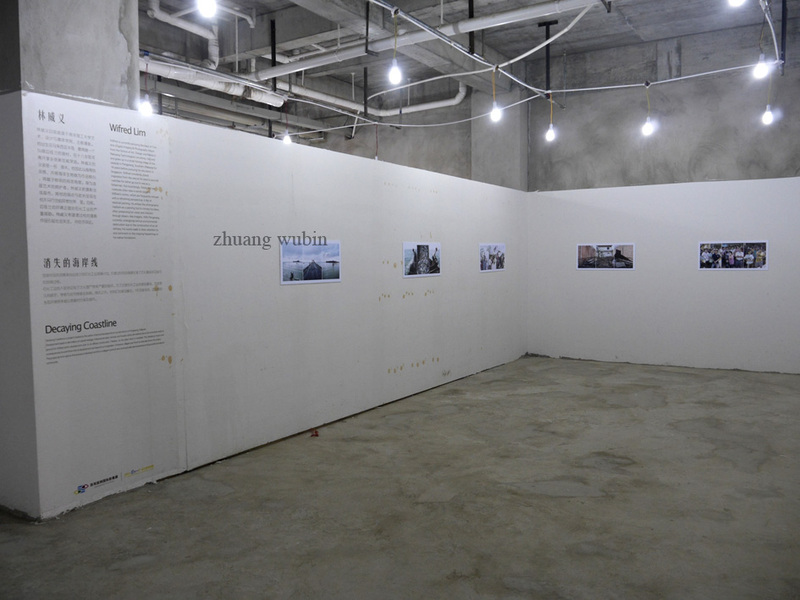 When Zi met Zhang Xiao subsequently, the latter had the same complaints. 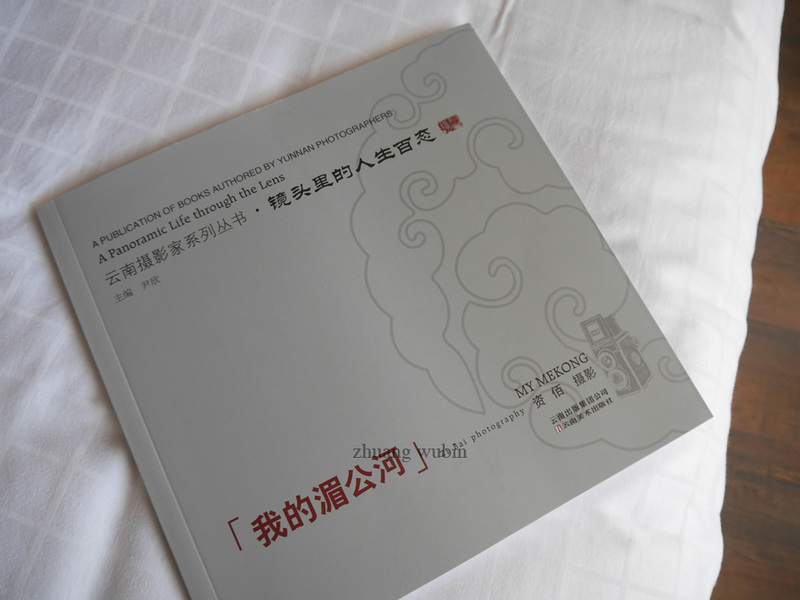 Gifts from China: A monograph titled “My Mekong”, shot by Yunnanese photographer Zi Bo. 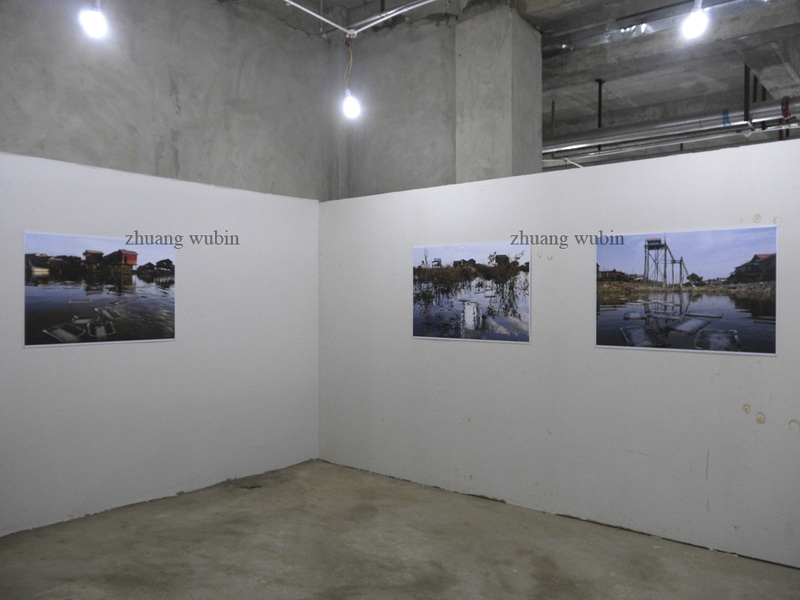 The work is about rediscovering the Mekong that he grew up with in the lower stretches of the mighty river. 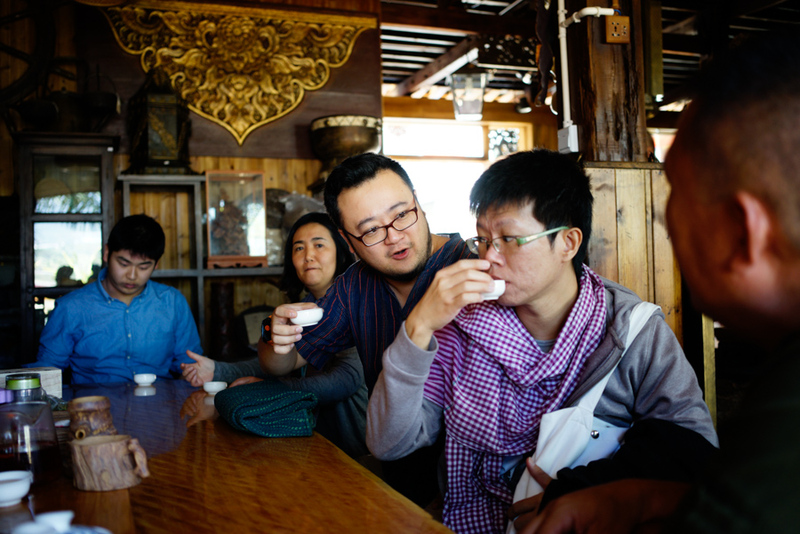 Zi notes that the Mekong in Yunnan (otherwise known as the Lancang River) has changed significantly in the last 20 years, so much that his encounters in Laos, Thailand, Cambodia and Vietnam remind him more of his childhood in Yunnan than the present-day Lancang River at Xishuangbanna. On the closing ceremony, I am tasked to present the festival plaque to the photographers who have been nominated for the Best Ethnic-based Work category. 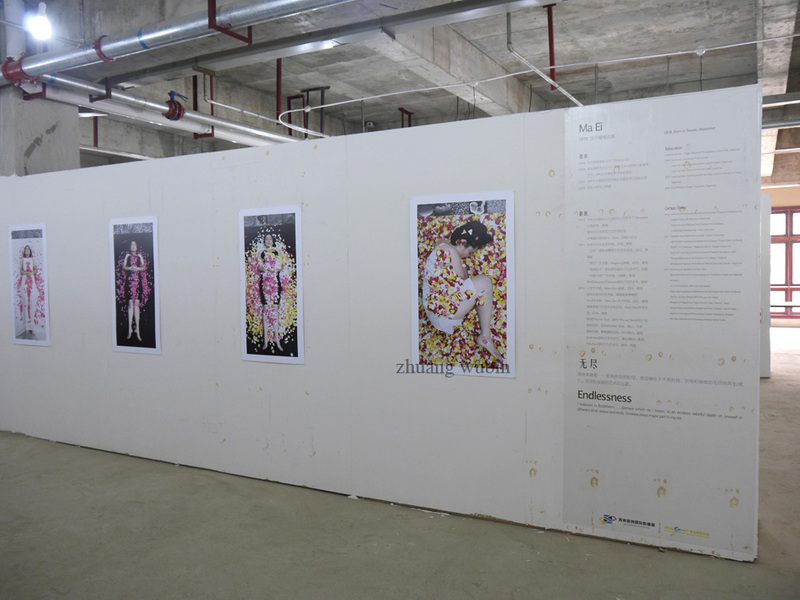 Cambodian artist Khvay Samnang’s “Untitled” received a nomination for the best eco-based work category. 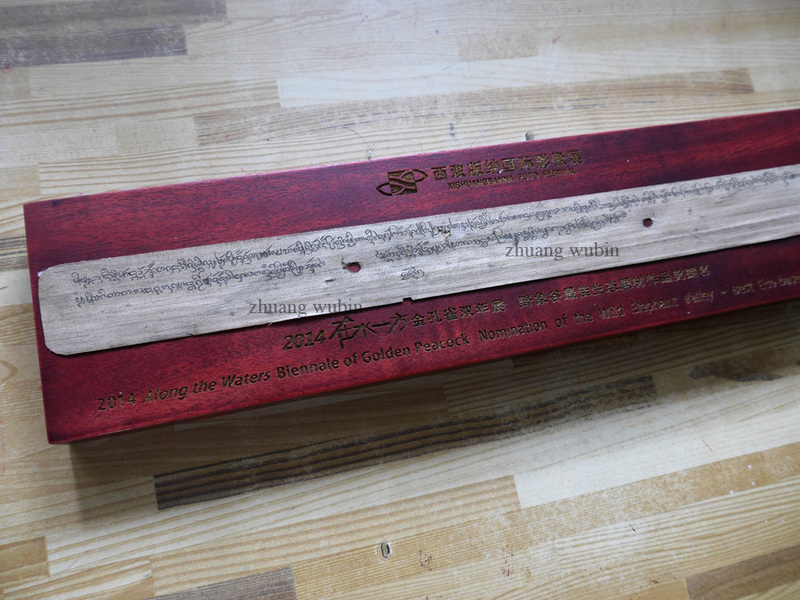 Khvay will receive this plaque, which features a palm leaf scroll inscribed with Buddhist scriptures in Pali language.